Chinese online shoppers can be categorized into six types, the frequent women shoppers, the quality-conscience men shoppers, the young shoppers, the middle-age shoppers, the high-income shoppers, and the practical shoppers. JD.com GMV for the first quarter of 2016 increased by 55% YoY to RMB129.3 billion (US$120.1 billion); and, its net revenues were RMB54.0 billion (US$8.4 billion), an increase of 47.3% YoY according to its unaudited financial results. Emerging markets are leading the way with smartphone users in China (45.0%), India (36.7%) and Singapore (23.3%) Asia Pacific’s biggest adopters of digital wallets according to MasterCard. China’s mobile shopping market reached more than 519.99 billion yuan (US$80.25 billion) with an increase of 120.9% QoQ in Q3 2015 according to iResearch. China’s e-commerce retail sales are expected to increase by 42.1% to US$672.01 billion, accounting for over 40% of the global e-commerce retail sales in 2015 estimated by eMarketer. The e-commerce market in 2018 is expected to reach US$1.57 trillion according to eMarketer. China has become the world’s largest e-commerce market. Chinese e-commerce market increased by 21.3% to 12.3 trillion yuan (US$1.93 trillion) in 2014, and would maintain steady and rapid growth in the next few years. 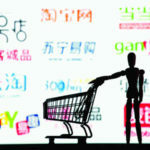 The e-commerce market in 2018 is expected to reach 24.2 trillion yuan (US$3.80 trillion) according to Kantar Retail. In 2014, China’s online shopping users reached 55.7% of the total internet users. In the mean time, mobile online shopping market was booming in China, with an annual growth rate of 63.5%, 3.2 times higher than the overall online shopping market. In Q2 2015, China’s online shopping market reached 872.54 billion yuan (US$136.77 billion), with a high level increase of 39.6%, which accounted for 12.3% of total retail value compared with 10% in 2014. According to AliResearch, in 2014, China counties mobile online shopping market exceeded 200 billion yuan (US$32.16 billion), with an increase of 250% YoY, far higher than the increase of online shopping value of the same period.